The California State Archives holds over 10,000 cubic feet of records from the Governor's Office. Types of records include executive clemency files, pardons, proclamations, executive orders, speeches, press releases, and enrolled bill files. Governors Earl Warren and Goodwin Knight donated additional records to the State Archives that are available to researchers. Chapter 503 of the Statutes of 1988 dictates the management and retention of Governors' Records in California. This legislation enacted section 6268 of the Government Code and added gubernatorial records to the California Public Records Act. Under section 6268 of the Government Code, all administrations following George Deukmejian are required to transfer all gubernatorial records to the State Archives. The enrolled bill files, press releases, and speech files are open to the public as soon as the Governor leaves office. Writings related to applications for clemency or extradition are available for research after the cases has been closed for a period of at least 25 years. The Governor may restrict all other records for up to 50 years or the death of the Governor, whichever is later. Prior to this legislation, California Governors were required to preserve only a small group of records that were considered to be "public". Most Governors, though not all, deposited these records at the State Archives. The Records of the Governor's Office finding aid identifies the deposits made by each governor from 1849–1975. The California State Archives holds the following types of records created by Governors' administrations from 1959–1991: enrolled bill files, press releases, speech files, and writings related to applications for clemency or extradition. The first comprehensive collection of Governor's records came to the State Archives in 1953. 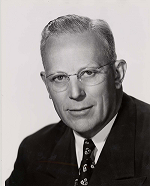 Before Governor Earl Warren left California for the United States Supreme Court, former Secretary of State Frank M. Jordan persuaded him to voluntarily donate an unprecedented amount of his gubernatorial records to the State Archives. This substantial donation includes correspondence, administrative files, and subject files of the Governor's office. Today, the Earl Warren papers are thoroughly processed and described in the Earl Warren papers finding aid. Earl Warren's successor, Governor Goodwin Knight, followed Warren's example and deposited all of his gubernatorial records in the State Archives in 1958 and 1959. The Goodwin Knight papers are also processed and described in the Goodwin Knight papers finding aid. Governors are required to file all Proclamations and Executive Orders with the Secretary of State. The State Archives maintains an index of Proclamations filed since 1849 and Executive Orders filed since 1947. Researchers need to provide at least an approximate date and title of the Proclamation or Executive Order for staff to locate the correct record. Many Proclamations from 2011 to present and Executive Orders from 1999 to present are available on the Governor's website. Under section 6268 of the Government Code, all administrations following George Deukmejian are required to transfer all gubernatorial records to the State Archives. More information on California's Governors is available on the California State Library's Governors' Gallery website.